Product categories of Glass Microfibers Series, we are specialized manufacturers from China, Glass Fiber Paper, Glass Microfiber Cleaning Cloths suppliers/factory, wholesale high-quality products of Glass Microfiber Filter Paper R & D and manufacturing, we have the perfect after-sales service and technical support. Look forward to your cooperation! 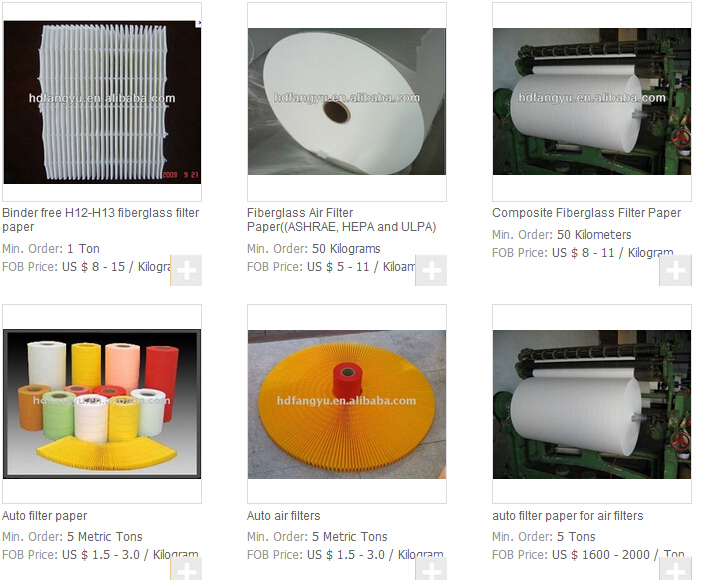 Hebei Fangyu Filter Media Co.,Ltd is the leader to produce Glassfiber filter media,Thermal insulation , AGM Separator, Fiberglass Vip Core Material, Pocket Filter Media, Glassmicrofiber Air-Laid Mat ,Hepa Filter Paper in handan hebei China. 1.Glass microfiber filter media, comprised primarily of glass microfibers, is produced with a wet laid process which is similar to that used in the production of paper. Our offerings range from various ASHRAE grades (F6-F9), HEPA grades (H10-H14) to ULPA grades (U15-U16) with exceptional dust holding performance and provide with the highest available efficiency at a minimal resistance to air flow. Our products are available in a laminated form to meet special air filtration requirements. Applications: Industrial Cleaning Rooms, Food Processing, Hospital Operating Rooms, Genetic Research, Nuclear Containment, Pharmaceutical Processing, Chemical Processing, Compressor Inlet Filtration, Equipment Intake/Exhaust Air, Gas Turbine Air Intake, High-Temperature Industrial, HVAC System, Paint Spray Booth, Prefiltration for HEPA Systems, etc. 2. Other specification is also available according to customer's requirement or sample. Dimensions and packing conditions can be selected.